If you’re like me, you have a particular look you are going for when it comes to embroidery. I can admire many of the patterns I’ve seen out there, and I even love a good vintage pattern, but sometimes I just can’t find what I am looking for in terms of images. With the recent push in pattern design towards a more modern feel there are certainly more styles out there to choose from than before, but even that doesn’t always cover what I want my pieces to look like. Especially if I am doing custom work. I wanted to embellish my crochet hook organizers with a little embroidery but I couldn’t find a design out there that fit what I needed, so I made my own. 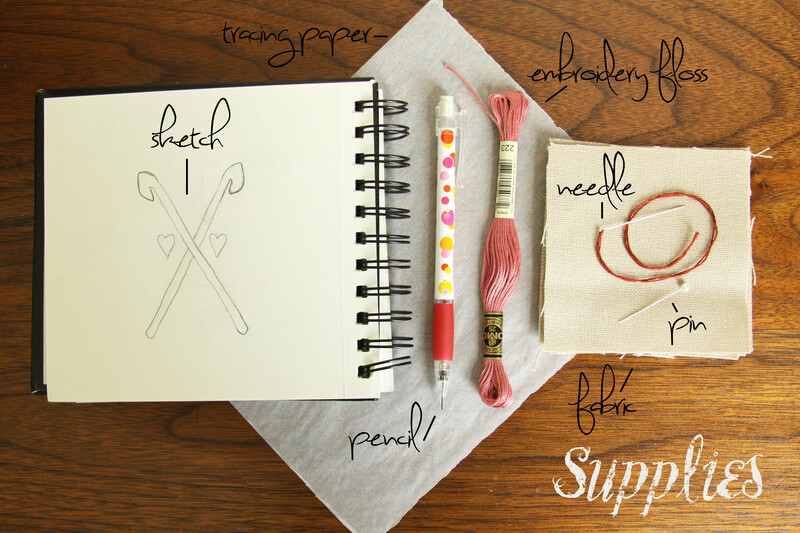 Trace your design onto your tracing paper. 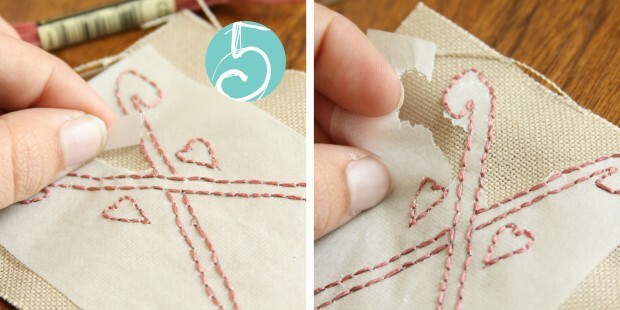 Make sure to be as neat as possible to make embroidering later easy. 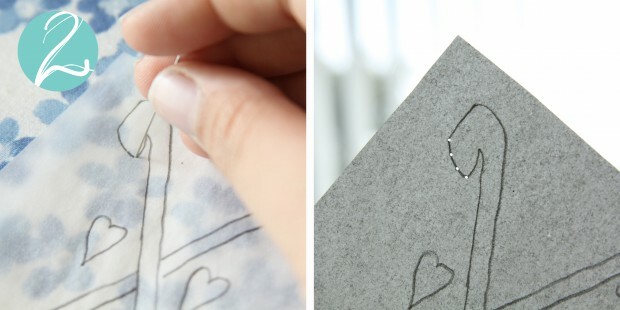 Once you trace it you can choose to cut the paper down as small as you need. 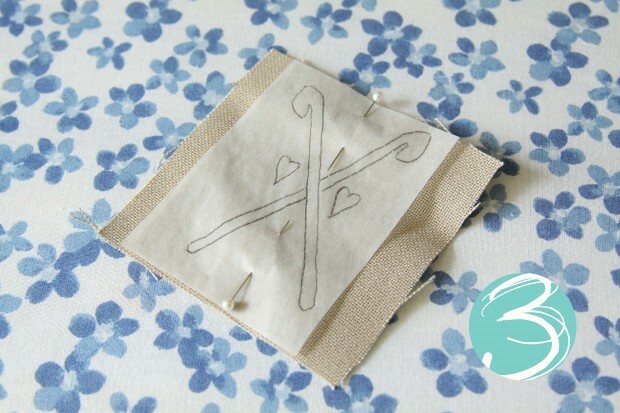 Make sure to leave enough paper on the edges for pins to pin it to the fabric. 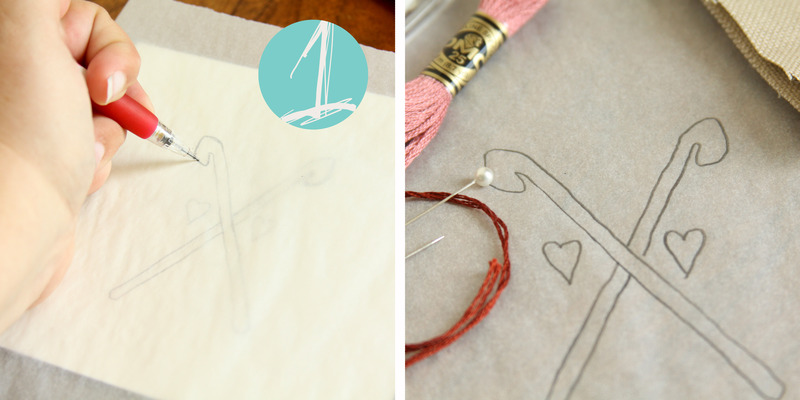 Poke holes into your design along the traced lines. Here you can play with stitch length, by either keeping the holes evenly spaced, or spreading them out in places and scrunching them up in others. Since I used backstitch for my design I evenly spaced my holes along straight lines but made them closer together along curves. This will help you get more definition in your end result if you use this type of stitch as well. With your holes all punched, center your image over your piece of fabric and pin down. Begin your stitching. Like I said, I used backstitch, but you can use whatever your design calls for. It takes a little getting used to finding the holes when coming from the backside, but don’t give up! There is nothing wrong with poking through the tracing paper a few times till you find the hole you made. Keep your floss taut but don’t pull too hard or your finished piece will not lay flat. 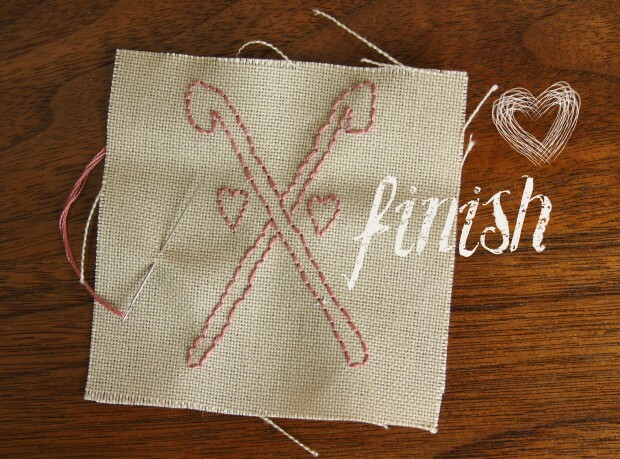 When you finish make sure to tie off then it is on to the final step! Tear off the tracing paper. Be careful when working this step. 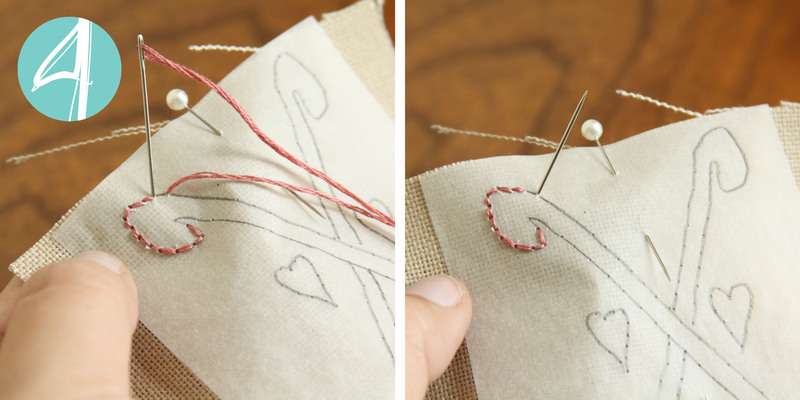 I keep a finger pressed on the stitches and rip along the perforated edges so that I don’t stretch out the floss. Sometimes a needle helps to get the paper out of tight detail sections. And you’re done! 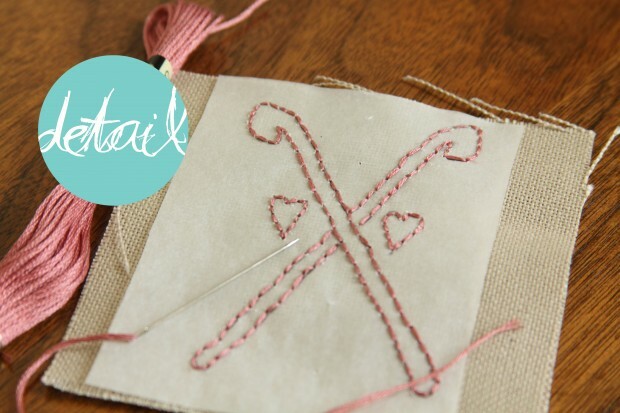 Now your piece is ready to be sewn onto your project or hung as art. There really is no limit on what you can do with this technique. Most of my pieces have been small, but this translates well into larger designs too. Happy designing and I hoped this helped open up a well of inspiration!